Salem County Active Adult Communities are for the over 55 or shall we say 55+ people that want a great place to live without having to deal with the day to day maintenance issues of a conventional house. 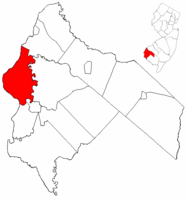 Salem County doesn't have as many Active Adult communities as other counties within NJ. However, there are plenty of very active adults that live in this area - either already retired or almost. The cost of living is so good here that many homeowners just stay in their conventional homes because that's what they've had for years and all the amenities they want are right there! White Oaks Mobile Home Park is a well established Active Adult Community. High Bridge Active Adult Community is a very wonderful living area within Woodstown - convenient to everything, yet out in the country. This Salem County Active Adult Community listing is always being updated, corrected and verified. If we've missed your community, or you know of one, please let us know so we can improve our knowledge base for our visitors.